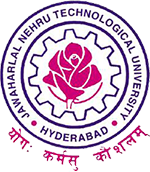 JNTUH 4-1 Time Table 2019: JNTUH B.Tech 4-1 Sem (R15,R13,R09) Supply Exam Time Tables May/June 2019, JNTU Hyderabad IV Year I Sem end examinations time tables 2019. JNTU Hyderabad has released B.Tech 4-1 Semester R15, R13, R09 Supplementary Examination Time Tables May/June 2019. The candidates who are searching for JNTUH 4-1 sem Time Table 2019 you will need to visit the Official website: jntuh.ac.in or click on the above links. Jntuk 4.1 supply notification yeppudu paduddhi….Exam yeppudu undochu?